A poem and prose chanting competition has attracted about 200 foreign students from 19 universities in the city since the event was launched in July. Zobaida Tahsin Dewan, who is from Bangladesh and is learning Chinese at Tongji, performs the prose “Spring” by Chinese writer Zhu Ziqing. She won the first prizes in the individual category. A poem and prose chanting competition performed by overseas students was held on Sunday in Shanghai. The competition to promote traditional culture for foreigners is the first of its kind in Shanghai and China. It attracted about 200 foreign students from 19 universities in the city since the event was launched in July. A total of 97 individuals and groups had entered the semi-final and 18 made it to the final round on Sunday. The finals surprised even the judges by their accurate and clear articulation of Chinese poetry and prose. It was so good that the judges said people would mistake them for Chinese participants if they didn't know otherwise. Some participants dressed up according to the poems and prose they chanted and even sang and danced to show their understanding of the verses. Zobaida Tahsin Dewan from Tongji University and Dina Slam from Shanghai University won the first prizes in the individual category, while two groups from Fudan and Shanghai Jiao Tong universities topped the team category. Both Dewan and Slam said Chinese poems and prose were beautiful to read and helpful for them in learning Chinese language, culture and history. 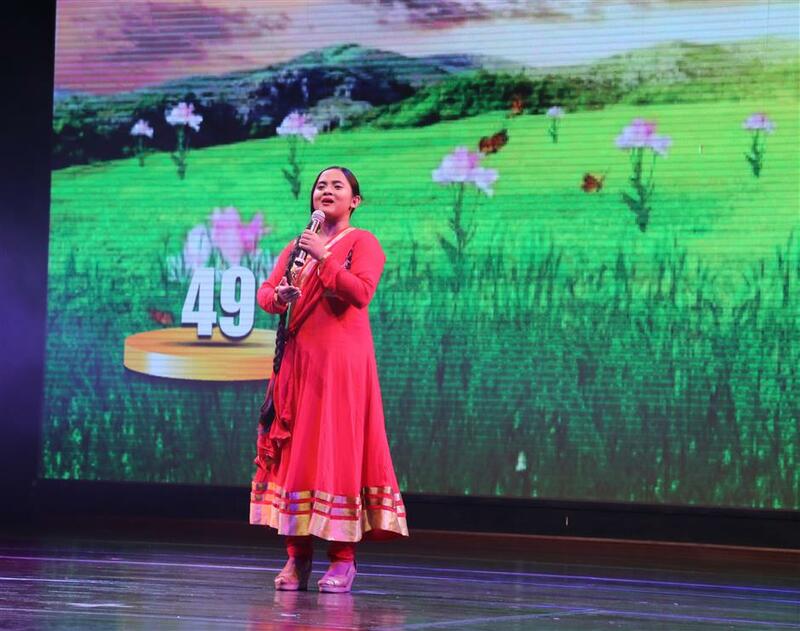 Dewan, who is from Bangladesh and is learning Chinese at Tongji and preparing for a future in medicine, performed the prose “Spring” by Chinese writer Zhu Ziqing. Slam, a master student of international teaching of Chinese language, said she has been learning Chinese for almost 10 years and found studying literature helped her to better understand features of Chinese people. She added she would like to be a Chinese teacher at her homeland in Kazakhstan. “More and more students in Kazakhstan begin to learn Chinese as the relationship between our countries has been getting closer, especially after the Belt and Road Initiative was proposed,” she said.